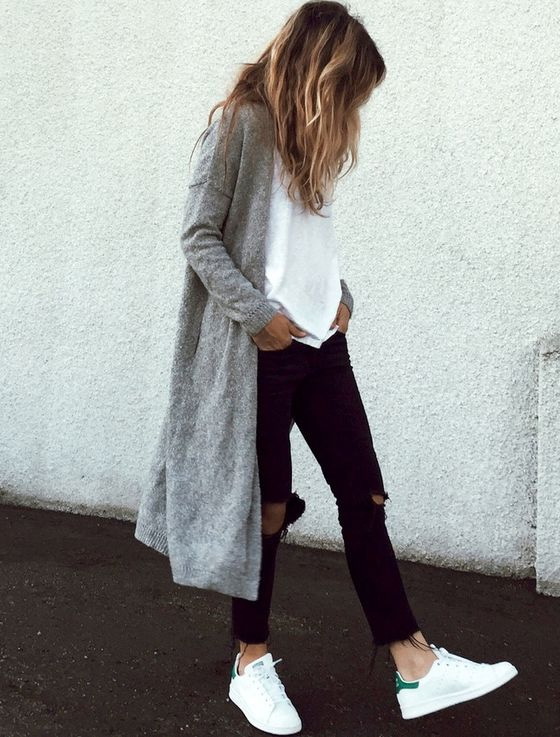 Let’s talk about long cardigans. 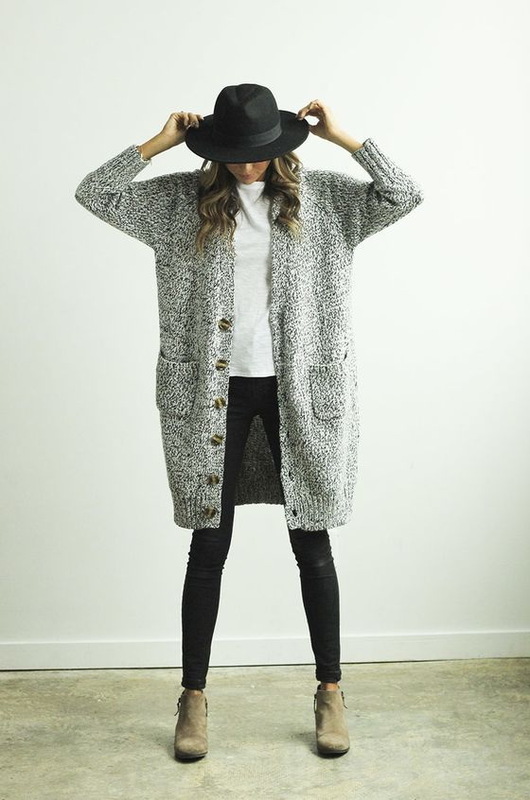 In today’s blog post I am going to show you best ways how to style long cardigans this year. This trend is massive nowadays. You can find beautiful styles in chunky knits, mesh fabrics, cotton, lace, crochet, etc. You are free to create either bohemian and hippie looks or keep things Tomboy inspired. In this street style compilation are gathered bright color designs, draped versions, printed, neutral colored, loose-fitted, etc. This might be the best layering piece that will easily make you stand out from the crowd. If you want to keep your wardrobe updated, then you should take a look through my favorite outfit ideas featuring long cardigans. Each of the showcased looks is worth a try. Hope you gonna love these ideas as much as I do. Would love to hear your own thoughts in the comments below. A semi-sheer long cardigan is a perfect choice to wear with your casual separates, like a simple white V-neck T-shirt, relaxed fit black shorts and pointed-toe black leather ankle-boots.